As Kotlin uses inline functions and lambda operations it requires much less time to execute. 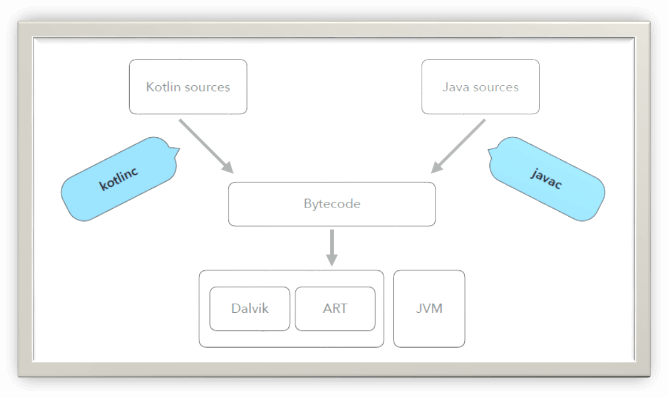 Kotlin allows using all Java frameworks. Kotlin supports incremental compilation so it required less compilation time than Java. Kotlin is very easy to learn. It does not make too many restrictions in programming. It can be learned easily. Code review is easy in Kotlin. Automatic conversion java to Kotlin. Kotlin has dropped new keyword of java. Kotlin has dropped static keyword of java. It uses Safe call operator (.?). Octal literals are not supported. Extension functions, you can add methods to classes without changing their source code. Kotlin has data keyword to create model classes. It uses a colon (:) operator instead of extends keyword of Java. 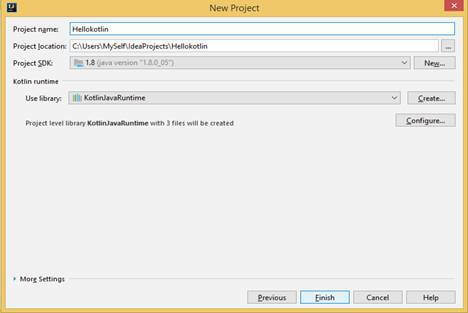 You can use IntelliJ, Android Studio, and Eclipse for Kotlin programming. If you wish to use Eclipse then go through the link – Getting started with kotlin. Or you can visit my article Getting started with Android and Kotlin to use kotlin for Android Application development. 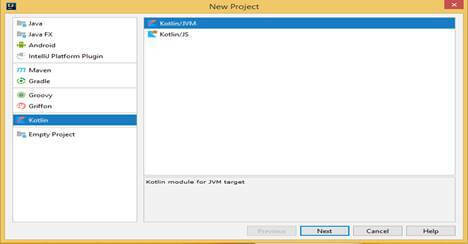 Here are the steps to setup kotlin with Intellij IDE. Make sure your system have 7 or latter version. 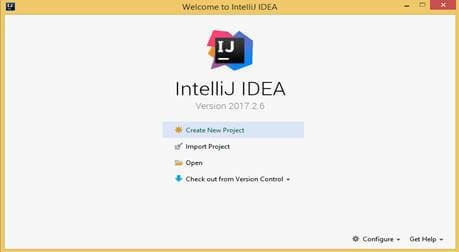 Download and install Intellij IDE. 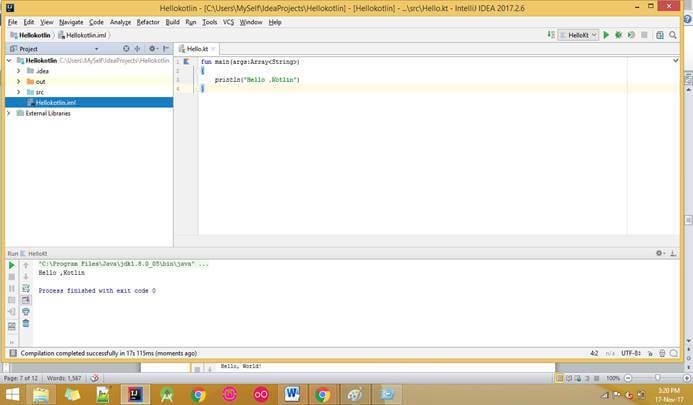 Now click on IntelliJ IDE desktop icon to launch it. Select Project Category then click on next. Give the project name,location and SDK path. Then click on finish. Kotlin has following tokens which are interpreted as hard keywords – that can’t use as identifiers. And soft keywords – that can use as identifiers. :: Crates a member or class reference.
? Marks a type is nullable. -> Separates a parameter and body of lambda expression. $ Reference a variable or statement in string tamplates. _ Substitute an unused parameter. You can use var keyword to create variables .